My husband loves to go “jeeping” with his friends. They usually go for the whole day and ride crazy trials with rocks and boulders. I stay home. Ha! Anyway, one of the guys recently had twin boys. 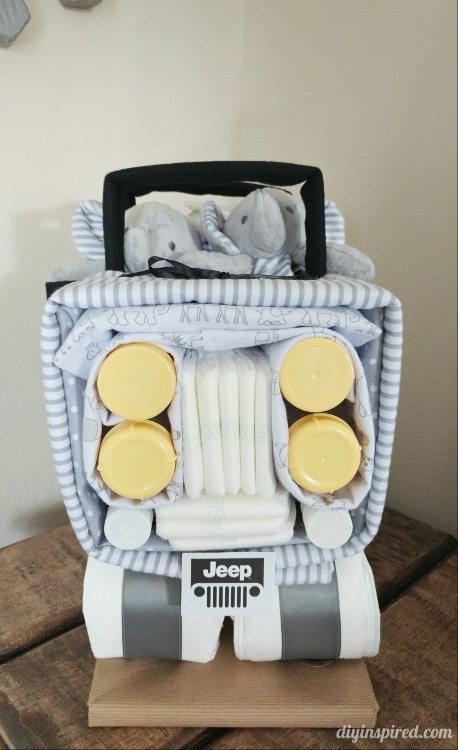 So, my husband asked me if I could attempt to make a diaper Jeep. I was definitely up for the task. 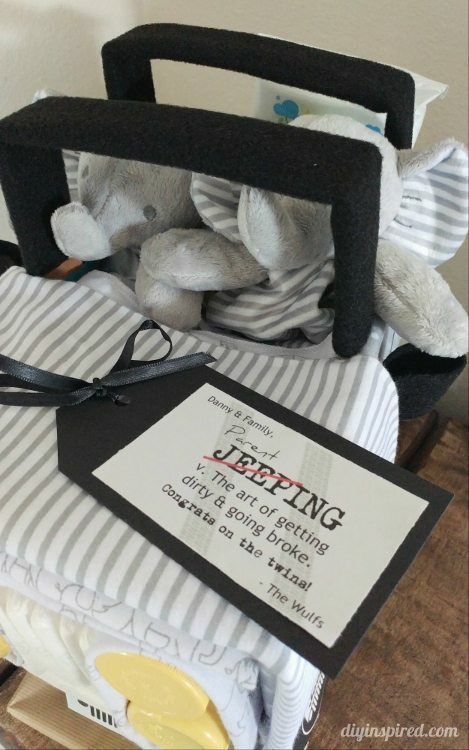 With a little trial and error, I came up with these DIY diaper Jeep instructions to share with you. 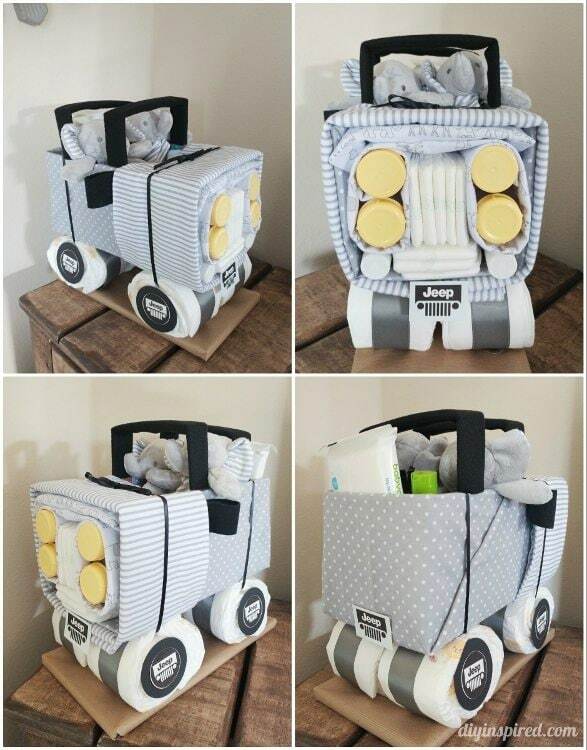 I have made a golf themed diaper cake before and some diaper cupcakes. It was fun to make so I figured I could take this on. 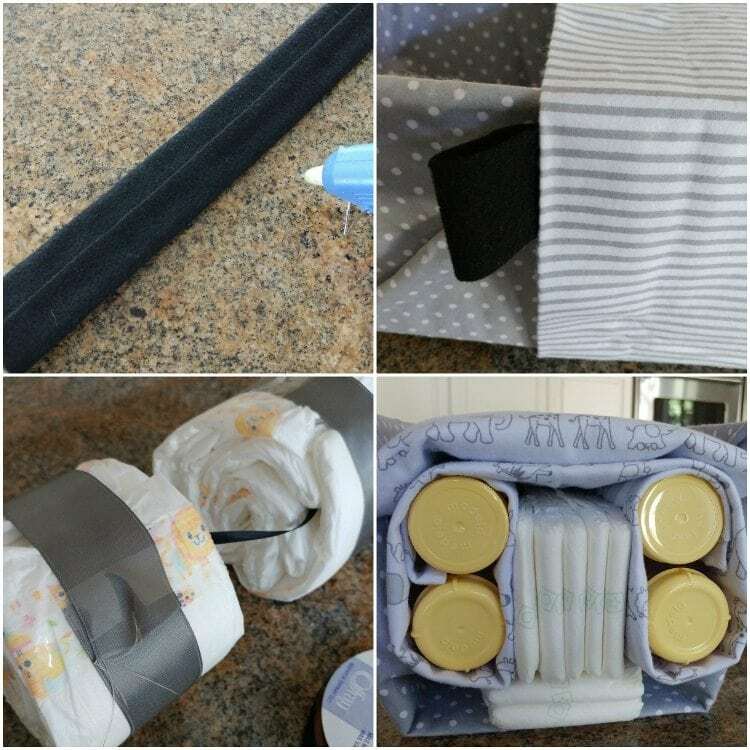 Here are the materials and gifts I used. 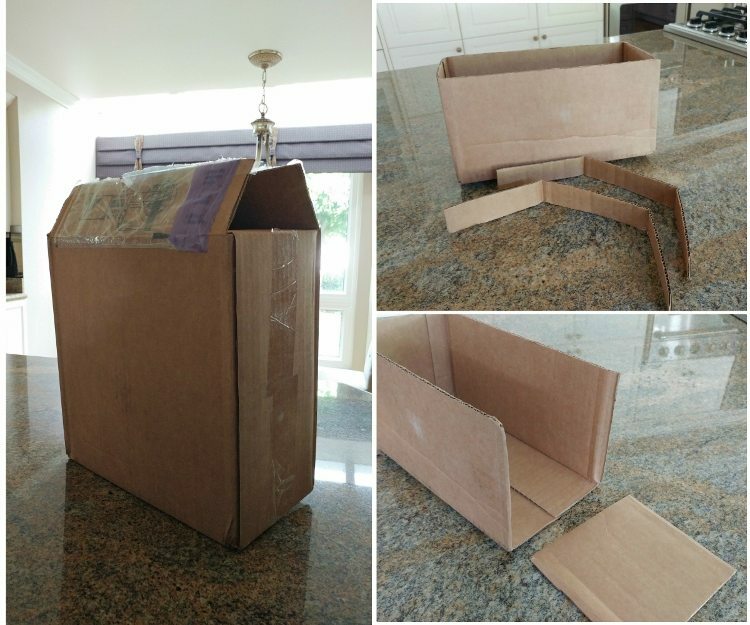 I used a rectangular cardboard box as shown. It worked great. 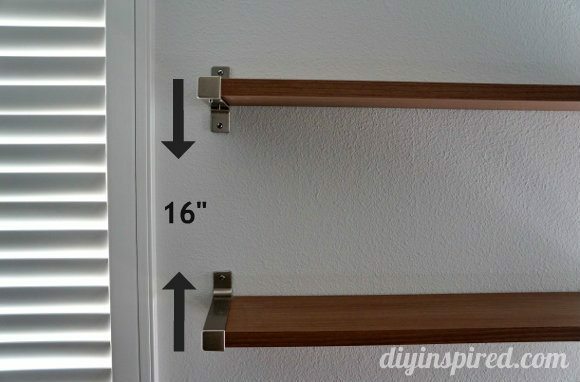 I measured from the bottom up 6” and cut the top off. I also cut two strips for the Jeep rails and cut the front side off as shown. I used two receiving blankets for this step. One to wrap the box. I secured it with safety pins. A second blanket was used for the front hood of the Jeep. 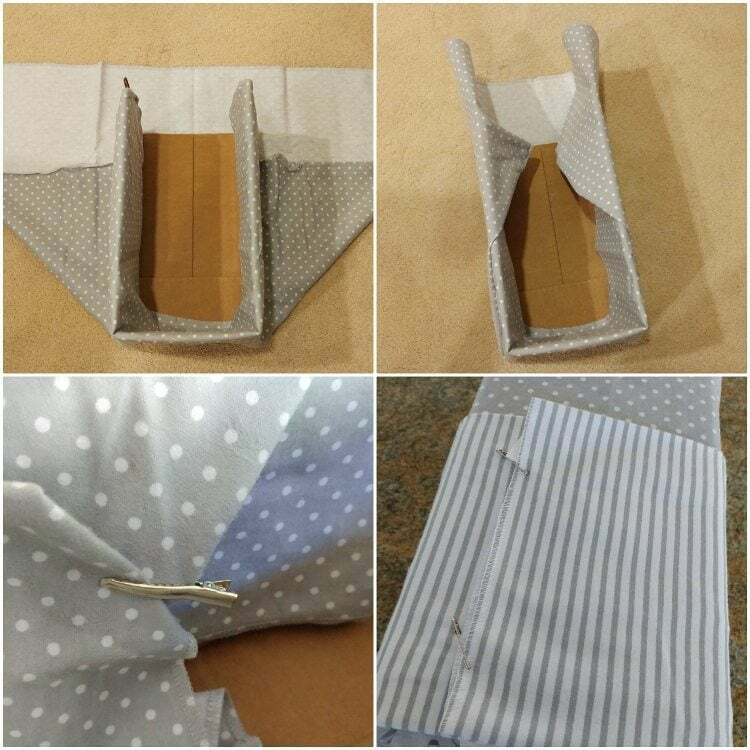 I folded it and wrapped it around. I used seven diapers per tire. Stagger five of the diapers and roll them holding them tightly. 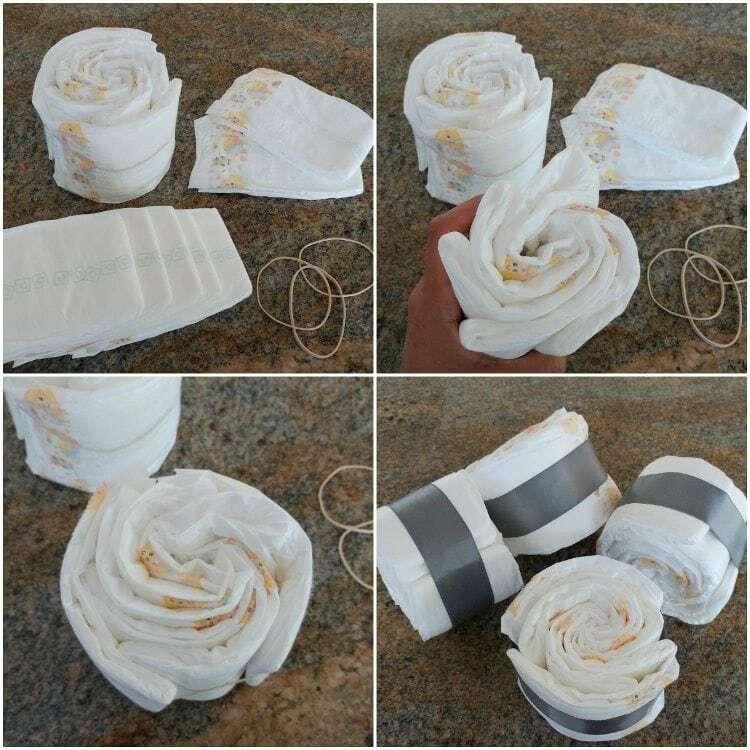 Wrap the other two diapers around each side and secure it with a rubber band. Next, wrap ribbon around the tire and secure it with tape. To make the jeep rails and mirrors, I wrapped the cardboard strips in black felt using a hot glue gun. Use duct tape to attach them to the Jeep. I also used black felt for the rear view mirrors, also taping them to the inside of the receiving blanket with duct tape. 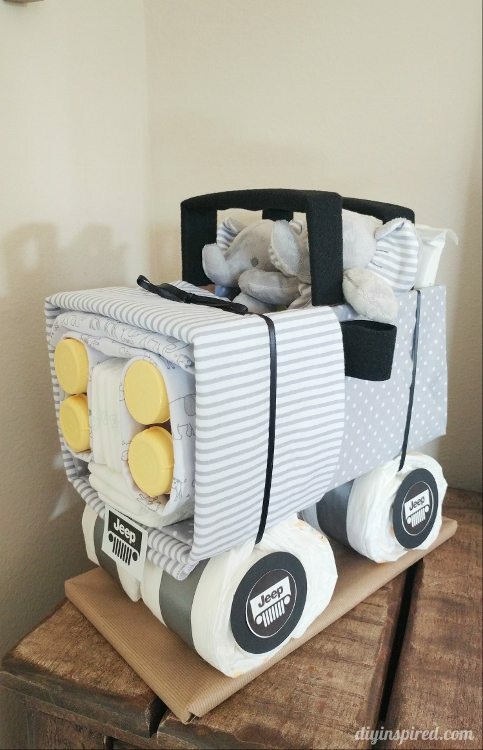 I rolled the bottles in one receiving blanket for the headlights and placed five diapers vertically in between to form the grill. I place three diapers horizontally under the grill. Another receiving blanket was folded and placed over the headlights. I also inserted the Hyland’s bottles as small headlights under the bottles. To attach the tires, I threaded ribbon through two of them and tied them around the hood and back of the Jeep. Note: The Jeep wheels were not secure with just the ribbon, so I wrapped a piece of cardboard with wrapping paper to create a platform for the cake to stand on. I also detailed the tires with the Jeep symbol as well as made Jeep license plates for the front and back. 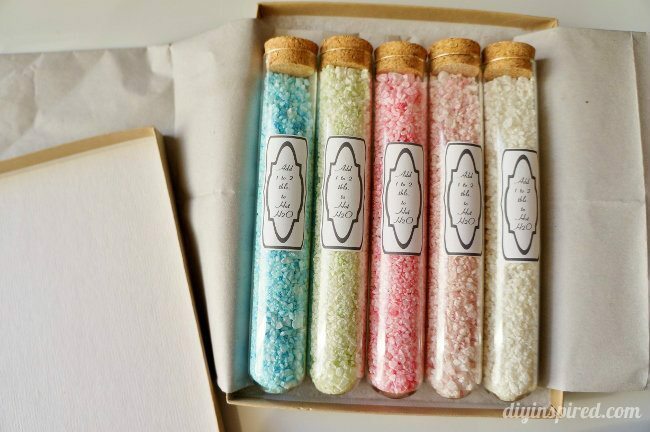 Lastly, I made a gift tag. 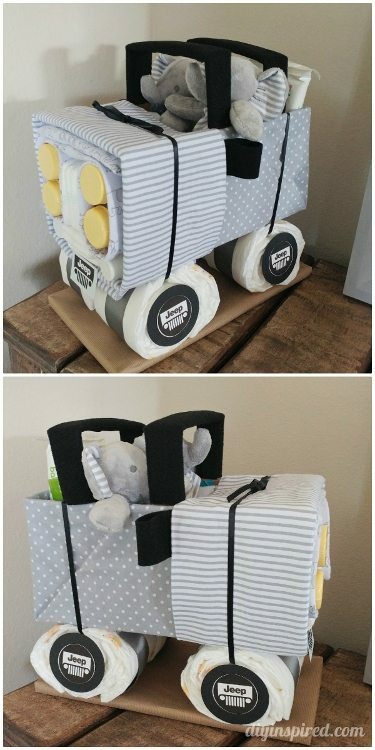 Here are some photos of the finished diaper Jeep. I like your jeep! Where did you get your “Jeep” logos from? 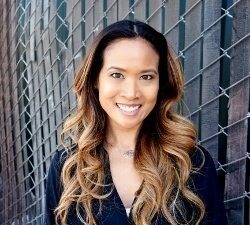 Thanks, Brenda! I used Google Images and made my own.